Laos 44tk Tooted asuvad hulgilaos. Tarne 1-3 päeva. You work hard to get the job done, no matter where the job takes you. 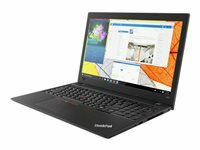 The ThinkPad L580 has the versatility, power, and portability to keep up - and to make your job easier. The perfect business partner!